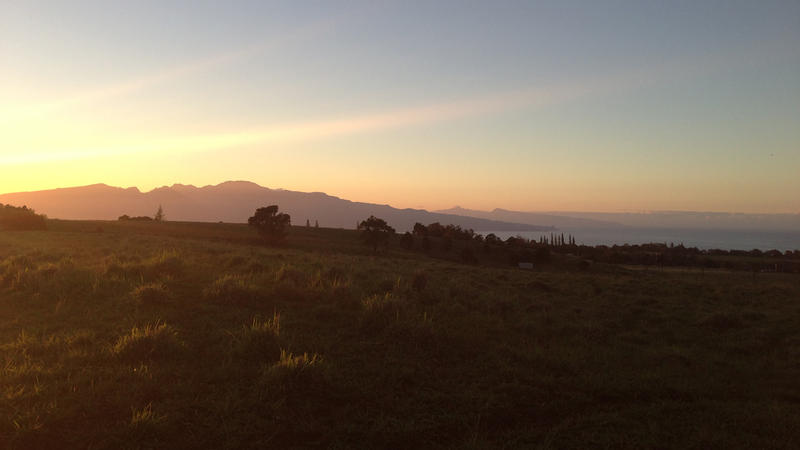 Our vision is to have a thriving and regenerative relationship between community and agriculture. Our mission is to re-establish a diverse native and endemic Hawaiian habitat and foster a productive agricultural operation, integrating a small community of sustainable residential homes. Hōkūnui is cultivating a community of people who value a reverent connection to the land, to each other and the Hawaiian culture. Nestled between two gulches, you will find Hōkūnui Maui in the green, rolling hills, just upslope of Makawao town. In the Hawaiian language, the name of a place tells a story. Makawao literally translates to forest beginning, and it is from the history of this ‘āina that Hōkūnui Maui takes its direction to restore the fertility and productivity of the land. The land at Hōkūnui was once a diverse native forest that included koa, ohia, halapepe and olopua. The land use of the property has evolved over time from native forest to traditional dryland agriculture to sugar and pineapple cultivation to ranching. 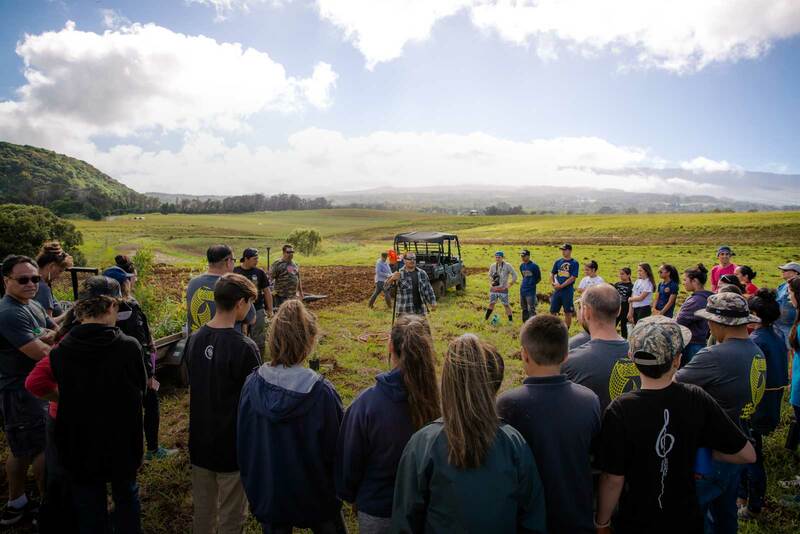 Today, Hōkūnui Maui is creating a regenerative farming community that integrates community, culture, forestry and livestock. 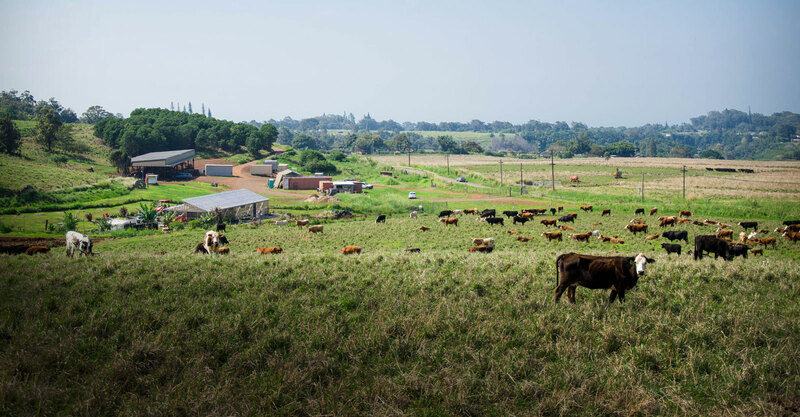 In our forestry and livestock programs, we are applying best practices from regenerative and Hawaiian farming in order to re-establish native habitat, regenerate the soil and provide food for our community. The infrastructure and housing at Hōkūnui Maui incorporates green building materials and technologies, alternative energy and self-sufficient water sources. And, we are cultivating a community of people who value a reverent connection to the land, to each other and the Hawaiian culture. Hōkūnui Maui operates with a Regenerative Quadruple Bottom Line (QBL®) philosophy—balancing environment, community and culture with financial viability. The financial model at Hōkūnui Maui utilizes profits from home sales to provide a stable land base for the perpetuation of forestry, agriculture and cultural activities. Regenerative agriculture—forestry, agroforestry and livestock—is at the center of the Hōkūnui community. Our regenerative philosophy means that all of the elements in the system—land, people, plants, animals, water and energy—interact and support one other in growing. Our agrihood will be complete with the addition of a Farm Store, outdoor pizza oven, gathering space and community garden, so the community can enjoy one other and the abundance of the land. Hōkūnui values diversity and practices inclusivity. As a part of the wider Maui community, Hōkūnui strives to be a good neighbor and responsible business. Water and energy self-sufficiency are paramount at Hōkūnui. Our water self-sufficiency plan includes an on-site well for potable water, an integrated roadway and pond system for capturing water for agricultural use, and roof catchment for other non-potable uses. Hōkūnui is striving to be a fossil fuel-free community. Farm operations and water pumps are powered by an off-grid solar system with biodiesel generator backup. Farm equipment runs on biodiesel or solar electric. Each home will be energy independent with its own off-grid solar energy system.